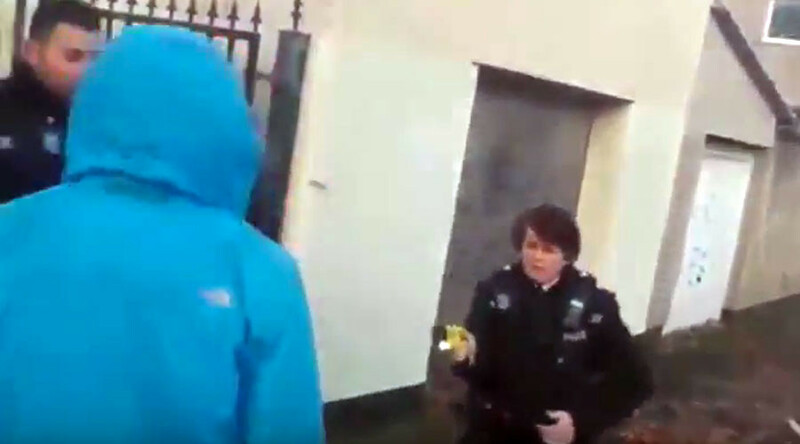 An investigation has been launched after police in Bristol, southwest England, Tasered their own race relations adviser after apparently mistaking him for a wanted man. Judah Adunbi, 63, was Tasered by officers from Avon and Somerset police outside his home on Saturday. The Guardian reports Adunbi sat on Bristol’s independent advisory group, designed to forge links between police and the community. Video recorded by a neighbor shows police scuffling with Adunbi as he tries to walk through the gate of his home before falling to the ground after being shot with a Taser. Adunbi is quoted in the Guardian saying he thought he was going to die. Adunbi has said he feels humiliated after the incident. Avon and Somerset Police voluntarily referred the incident to the Independent Police Complaints Commission (IPCC). Avon and Somerset Chief Superintendent Jon Reilly said: “I understand the community are going to have concerns. And we’d really like to answer those. But as there’s an ongoing investigation that’s very difficult for us to do.